Pangdan is the popular, past and present name of the barrio. 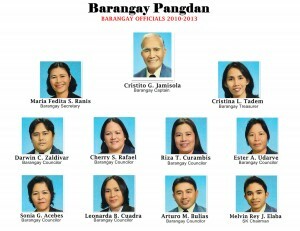 This is the only barrio of Jagna where “pandan” or “pandamus” thrivess. Hence it is called Pangdan. The word Pangdan is derived from the word “pandan”, which is a thorny-leafed plant. The leaves are used for making mats and other similar articles. This barrio includes the sitios of Balbalan, Kanhabol, and Kinalumsan. There is no authentic record available which definitely tells the date of the establishment of this barrio. According to reliable informants, when the Spaniards came to Bohol, this pace was already occupied by a certain group of natives headed by a datu. Just a few years after the defeat of the Spaniards by the British, the Spanish government established the barrios of Bohol. Pangdan was one of them. 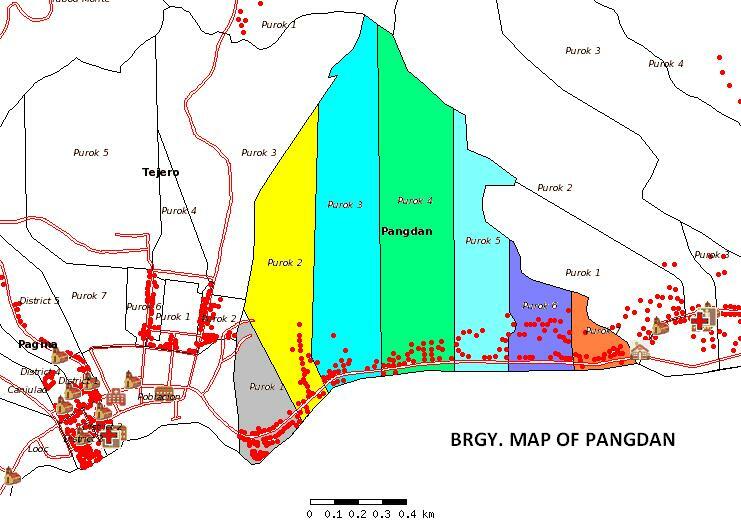 The families that originally occupied Pangdan were the Acenas of Balbalan, the Jamisola, Acedo, Ranara, and Galolo of Kinalumsan, and the Lakaran of Canhabuol. The recorded Cabezas of Pangdan were Juan Acas, Anecito Acenas, Nicolas Acenas, Dumpas Galolo, Paulino Acenas and Tomas Jalloren. During the American administration and to the early Philippine Republic, the barrio was headed by Tenientes Paulino Acenas, Nazario Jamisola, Mariano Acaso, Cornelio Jamisola, Bernabe Rances, Hegenio Jamisola and Vicente Acaso. The people of Pangdan envision a community that is progressive because the residents are strongly bonded. They live a kind of life that is dignified. 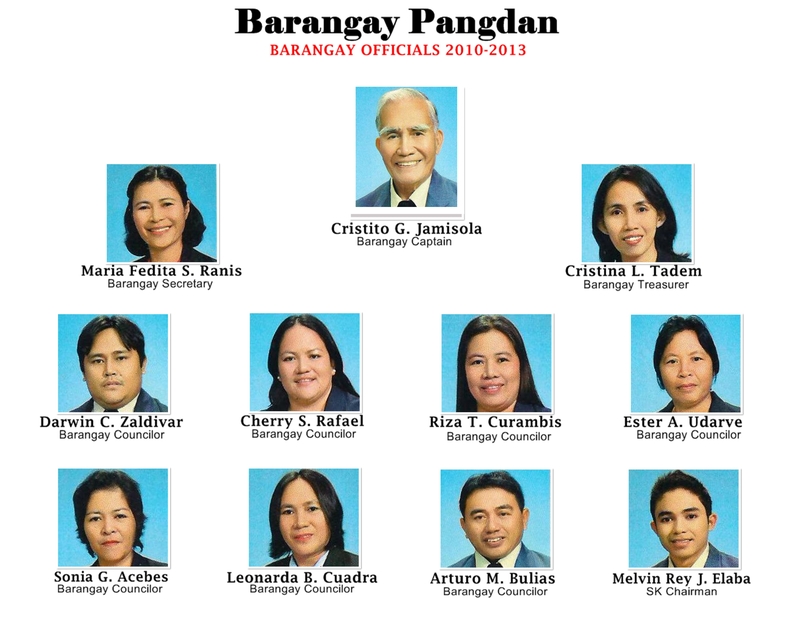 The entire barangay becomes secured from all threats. Infrastructures are physically evident, and quality basic services are rendered to the people. A very sustainable environment abounds in Pangdan. Generation to generation, they all enjoy the richness and abundance of natural resources that have been preserved all through the years. Watershed areas are thick with trees, and the marine resources are back in abundance. Reality tells that a person can’t change his or her attitude overnight. It takes a lifetime. But the people of Pangdan dream of a total conversion within themselves so that respect for the rights of other people can be practiced without reservation.